Richard Pilkington is a music student at Leeds University. His final year paper is on the future on music distribution, where he discusses peer-to-peer downloading, online music streaming services and how musicians are affected by how people access music. 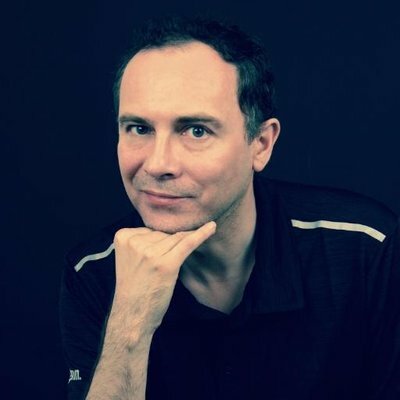 Richard’s main case-study is on Spotify and its crusade against illegal downloading. 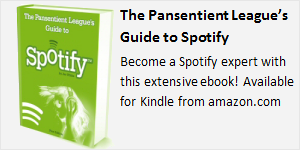 While completing his final paper, Richard has kindly allowed the Pansentient League to share the results of a survey he conducted to assess the success of Spotify amongst 15 – 25 year olds. The survey results make for very interesting reading: read on for more! Richard recently conducted a survey of around 100 music fans aged 15-25 to find out how they accessed music and to determine their opinions of Spotify and other online streaming services. The respondents were first asked to list the services they used to listen to music:. The top service was YouTube, with almost 92% of respondents indicating that that was somewhere they went to listen to music. Second came iTunes (90%) and in third place was Spotify, with 73% of the survey participants using it as a means of accessing music. Perhaps surprisingly, only 20% of respondents claimed to be using file-sharing websites. When asked about their opinion of Spotify, 39% believed it to be a great way of tackling the problem of illegal downloading. 71% liked Spotify because they could listen to music for free (and were happy enough to listen to adverts in return for free music). 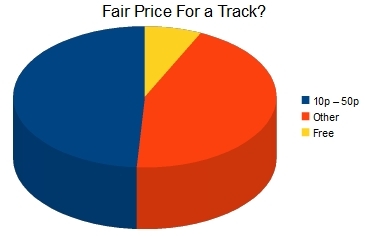 How much should a single track cost? This shows that, contrary to popular belief, only 7% thought that music should be free: many respondents commented that they appreciated that artists provide a service and should be rewarded for it. In further feedback, the survey revealed that respondents thought that artists would not currently only rely on Spotify for their source of income, believing that Spotify was successful as a marketing strategy for the artist and a good means of promotion. The expectation was that users who could listen to the artist on Spotify would then be more likely to buy a CD or digital download afterwards. 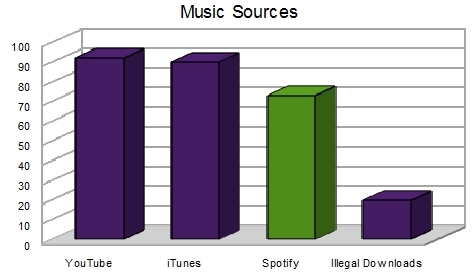 Despite only 20% of respondents claiming to currently use file-sharing websites, 46% said that they had downloaded music illegally in the past. They acknowledge that this is “wrong” but state that it’s still too easily accessible. Other comments indicated that some music fans are not prepared to pay for music since they are historically used to getting it for free. The second part of this post, with my own answers to the 13 questions in the survey.